Attendees gather for a group picture at the steps of the University Club of Washington, DC. View the video to the right and photos from the event to see what it is all about! 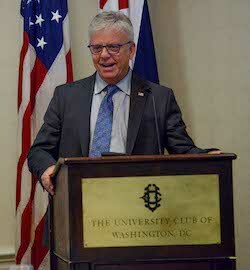 Held at the University Club of Washington D.C. Oct. 29-30, the event took place over a twenty-four hour period with executives arriving Monday and beginning work immediately. 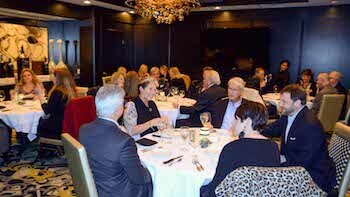 The substantial schedule provided the group with a wide variety of subject matter from Washington insights to industry issues that directly impact members. 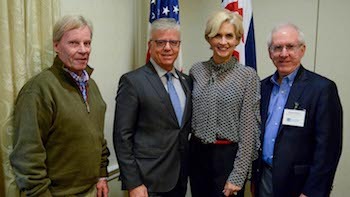 "The CDA annual State Association Executive Summit is very important," said William Pascrell, New Jersey Wholesale Marketers Association. 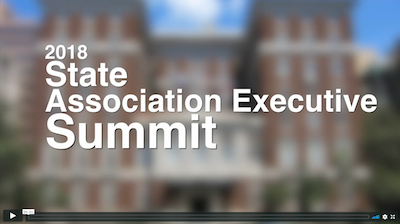 "It's a great way to stay connected with colleagues across the country to share ideas, stay current and review new legislative and regulatory challenges facing the industry. It's also a great networking event that I never miss." To the left, Dave Riser, RAI Trade Marketing Services Co., provides a briefing to SAES attendees. "Attending The Summit in Washington D.C. shows that Florida is not the only one dealing with tough issues," said Beth Gosnell, Florida Association of Wholesale Distributors. 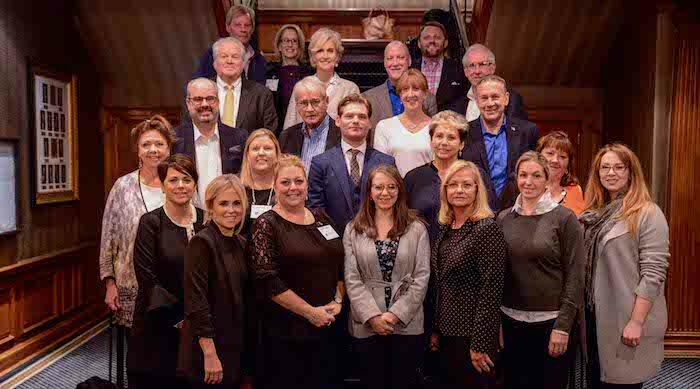 "The participation from around the country has lent itself to a heads up on issues coming, potential solutions for issues that have been around, and the networking with an exchange of ideas for the future has been invaluable." To the right, CDA President & CEO Kimberly Bolin welcomes SAES attendees. "It's easy to be so focused on our own state that we lose sight of what's going on in neighboring states and across the country,” commented Beth Wymer, Ohio Wholesale Marketers Association. “This Summit is a 'must attend' for me because it's a great opportunity for peer-to-peer conversation about issues we'll all deal with sooner rather than later, and strategies that work for those issues. The support from our manufacturer partners to make this meeting happen is much appreciated." To the left (l-r) are Beth Wymer, Ohio Wholesale Marketers Assn. ; Shannon Campagna, CDA; Ann Ninness, Indiana Wholesale Distributors Assn. ; Polly Reber, Michigan Distributors & Vendors Assn. ; David Tatman, Louisiana Assn. of Wholesalers; Stephanie Waddell, Indiana Wholesale Distributors Assn. ; and Jamee Steele, Louisiana Assn. of Wholesalers. 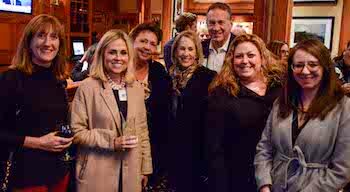 The recognition of the importance of this group and support by supplier partners Altria Group Distribution Co. and RAI Trade Marketing Services Co. is phenomenal. They provide a very unique and beneficial platform for this group to assemble. To the right, SAES attendees enjoy Tuesday's lunch and briefing, provided by Altria Group Distribution Co.
SAES attendees enjoy Monday's dinner at Morton's Steakhouse Washington, DC, hosted by RAI Trade Marketing Services Co. Left to right are Jeff Smith III, Virginia Wholesalers & Distributors Assn., Dave Riser, RAI Trade Marketing Services Co.; CDA President and CEO Kimberly Bolin; and Tom Briant, Minnesota Wholesale Marketers Assn. 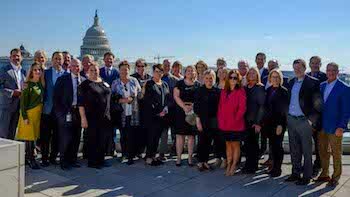 SAES attendees and Altria Group Distribution Co. team members pose on the roof of the Altria offices overlooking the Capitol building. 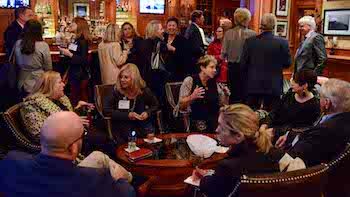 SAES attendees mingle and network at the University Club's Founder's Pub. The Convenience Distribution Association (CDA), formerly AWMA, is the trade organization working on behalf of convenience products distributors in the United States. Its distributor members represent more than $92 billion in U.S convenience product sales, serving a wide variety of small retail formats. Associate members include leading convenience product manufacturers, brokers, retailers, suppliers and others allied to the industry.